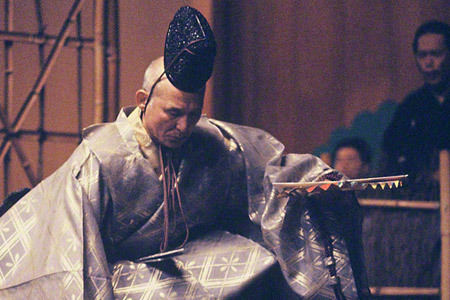 Welcome to the mystique of Noh, the traditional Japanese performing art that has been recognized as a world cultural heritage. The site “the-noh.com” is your gateway to this unique and profound art with over six hundred years of history. Mar 18, 2019 : “Schedule of April 2019” added to Performance Schedule In Japan. 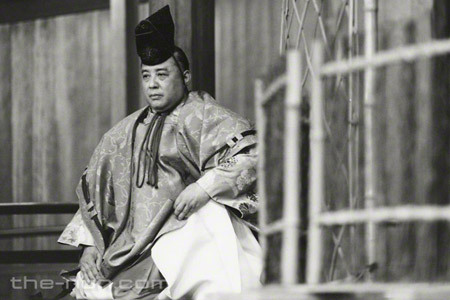 Mar 12, 2019 : “Q154: Who was the rival of Kan’ami and Zeami?” added to Trivia. Mar 7, 2019 : “Waki-kyogen” “Kahomono” added to Terminology. Feb 18, 2019 : “Schedule of March 2019” added to Performance Schedule In Japan. Feb 4, 2019 : “Kogō” added to PhotoStory and Plays Database. Feb 1, 2019 : “Kyahan” “Men-bukuro” “Gakuya-baki” added to Terminology. Jan 21, 2019 : “Schedule of February 2019” added to Performance Schedule In Japan. Dec 25, 2018 : “Schedule of January 2019” added to Performance Schedule In Japan. Nov 20, 2018 : Noh Theatre Map has been revamped. Nov 18, 2018 : “Schedule of December 2018” added to Performance Schedule In Japan. 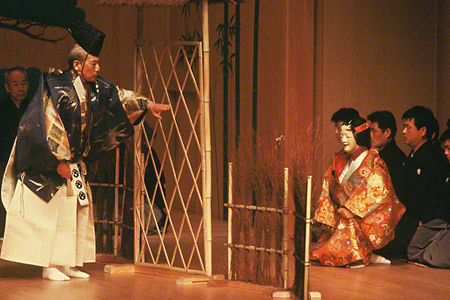 Although Noh is a classic stage art, of which Japan is proud, only a handful of the Japanese have actually visited a Noh theater and appreciated Noh programs. Therefore, the-Noh.com answers questions that surprise and enchant Noh beginners who have not yet familiar with the Noh world. Beginners to Noh face many unknown technical expressions. This glossary organizes such terms by category. The site “the-noh.com” is a full of rich information about Noh. 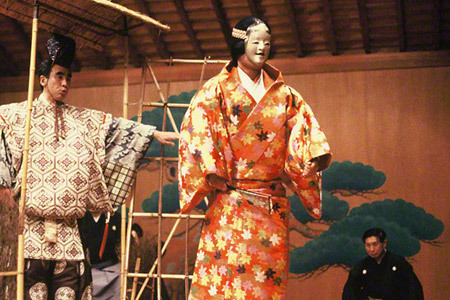 You will enjoy photo stories that take you to the center of the Noh stage, reading material that helps you understand everything about Noh, articles that highlight the people who work on front stage or behind the scenes, a list of plays with guiding directories, the stories of Noh masks, and a lot more to come. From beginners to experts, there's always something that catches your eye.